It’s that time of the year where everyone compiles their best of 2012 list. I do have my best of albums (Canadian and Non-Canadian) but it’s still in a work in progress. For now I decided to make my list of the best live shows I’ve been to in 2012. Since it’s 2012, why not make it a Top 12. There will be some of the shows that didn’t take place in Ottawa but was simply “WOW!” when I happened to catch that show. So here is my top 12 shows of 2012. 1. David Byrne and St. Vincent @ Église St. Jean Baptiste [POP MONTREAL 2012 + Review/Photos] – At first I was skeptical and wanted to be there for like 30 minutes. I was truly blown around to how amazing and magically the music of David Byrne mix with St. Vincent can be played in one big church in Montreal! 2. 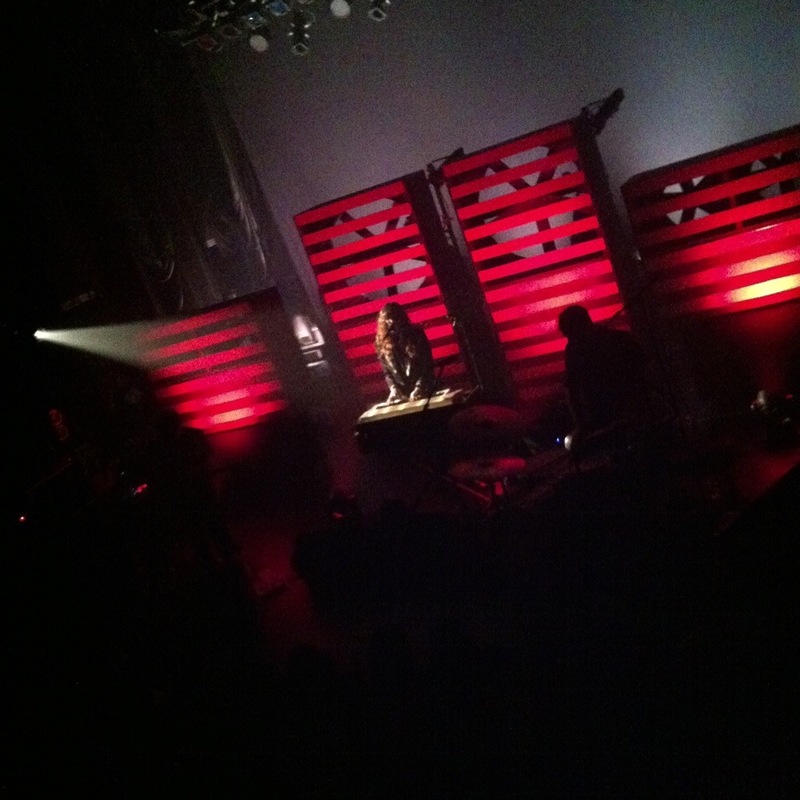 Beach House at Club Soda [Review] – That show was dreamtacular!! Nuff said! 3. Arboretum Festival [Review/Photos] – A refreshing new festival that happened this year in Ottawa. Let’s say it was more about the music, arts & culture, less about making money and getting drunk. 4. Yamantaka // Sonic Titan at Babylon [Review/Photos] – This year they played Ottawa and it was just mind blowing. Talk about starting the show by entering with a Dragon. It was the start of a stellar 2012 for them. 5. Metz at Babylon [Review/Photos] – LP Release show and boy was it a wild show! 6. Purity Ring at Cafe Dekcuf [Review/Photos] – First Ottawa show to promote “Shrines” and it was mesmerizing! This was definitely a show you shouldn’t have missed. 7. Rich Aucoin at Le Divan Orange [Review/Photos] – Rich always put on a fun sweaty and interactive dance party of a show! 8. The White Wire‘s Secret Dance Party [Review/Photos] – I just have to put them in this list. They are so fun and love their indie garage power-pop music. A preview of tracks from “White Wires III”. 9. Robert Bondar at Babylon [Review/Photos] – Just had to put them in the list. 10. Savoir Adore at Cafe Dekcuf [Review/Photos] – I just love Savoir Adore! 11. Cloud Nothings at Lee’s Palace – They completely melted my ears and face! 12. F**ked Up at Babylon [Review] – Having seen them play in Toronto (NXNE) and Montreal (Pop Montreal). Finally got to see them play at the Nation’s Capital. It was for Junofest. Boy what a wild show it was!! Wintersleep at the Legendary Horseshoe Tavern – I still can’t believe I got to see them play during CMW. You will never to get to see them play at that kind of venue ever! Evening Hymns at Raw Sugar Cafe [Review/Photos] – Simply an intimate and emotional show.